Trick or Treat- Trick or treat, which will it be? Step forward and ring the witch’s doorbell. Oh, she is home, but where? You are not quite sure. Don’t be afraid, her minions will guide you. I am sure that the tales of the many Hallows Eve victims are just that. You can come away with a treat, but is it worth it? Uncle Willy’s Slaughter House- Folks near and far come a-runnin’ for Farmer Willy’s world famous BBQ! Guests are welcome to venture through the slaughterhouse where Uncle Willy will feed them full of BBQ, slather them with special sauce, tenderize them with his chainsaw and grind them into a tasty treat. Bone appetite! End Games-The world as we know it has ended. The survivors in this barren desert have scavenged to rebuild society. The rich and the powerful have turned all others into slaves for sport. Enter the post apocalyptic arena where gladiators are forced to battle to their deaths for entertainment. Are you game? Delirium-In the deep recesses of the mind, on the clouded brink of insanity, lies the hellish wasteland of delirium; a place so gruesome that your imagination fails to comprehend the horrors. Illusion and paranoia are your only anchors to reality. Welcome to your worst nightmare! Pinocchio Unstrung-Years have passed since the blue fairy denied him his final wish, but Pinocchio has returned with an army of murderous marionettes intent on killing his former masters. The purpose of his killing spree – human flesh to cover his twisted wooden body. Revenge comes with no strings attached. Dominion of the Damned-The Blood Queen’s reign has ended as she goes to regenerate after her long reign. In the new cycle ancient vampire lore decrees there shall always be one to rule the damned… Long live the King! 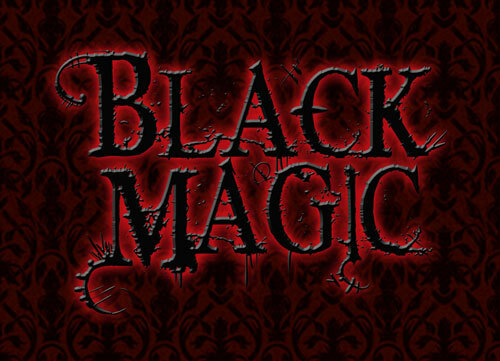 Black Magic- The veil between the living and the dead is severed when Houdini’s ghost materializes during a séance and ushers a host of demonic illusions to play tricks on anyone who intrudes on his theatre. From the prop room to the main stage this dilapidated theatre will make visitors skin crawl. Will you be part of the disappearing act? 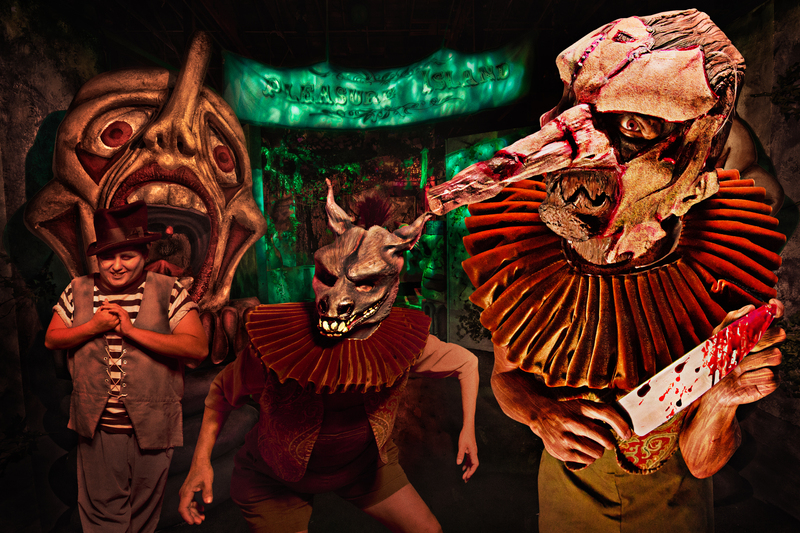 Trapper: The New Experiment- Making its debut in 2012, Trapped was Knott’s Scary Farm’s first reservation only, interactive maze – and was an immediate sell-out. Trapped returns bigger and more intense than its predecessor. 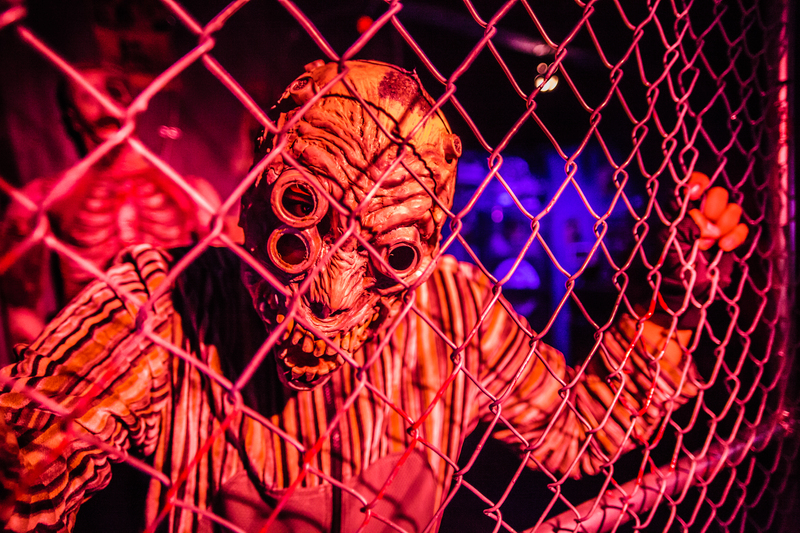 For those lucky enough to secure a reservation, Trapped will offer a longer running time, more challenging puzzles, more mind-bending contraptions and more in-your-face scares. *Additional fee applies. Forevermore-The twisted mind of Edgar Allen Poe comes alive as the “Forevermore Killer” works his way through one haunting tale after another. All the victims, driven mad by a combination of drugs and torture, unwittingly find themselves a part of “The Raven,” “The Tell-Tale Heart,” “The Pit and the Pendulum,” The Masque of Red Death” among others. Guests will want to catch up on their reading to stay a chapter ahead of their demise. Gunslinger’s Grave -Return to the Old West and walk in the bloody footsteps of a betrayed and left for dead gunslinger on his path to retribution against a corrupt township. This journey back in time takes guests on a trail of terror through abandoned gold mines, a treacherous corral, a seedy saloon and a final showdown at town hall. 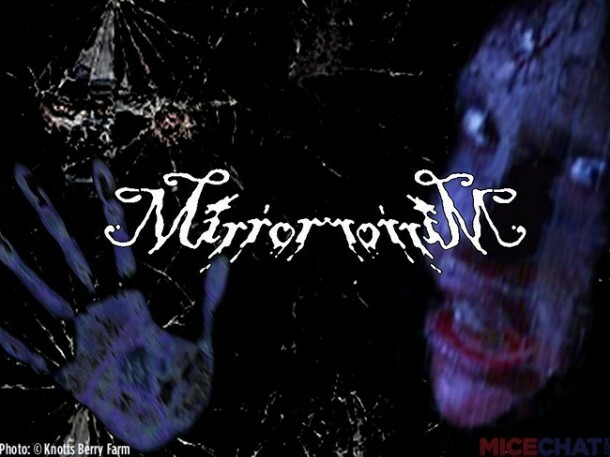 Mirror Mirror- Enter a world where madness is just a looking glass away. What is real and what is an illusion? A cursed mirror absorbs everyone into a mechanical wasteland of despair. Hideous creatures of beauty and horror stalk the mirror world, hoping to draw another victim into a nightmarish labyrinth. I personally think this mazes has the most potential out of any other maze! 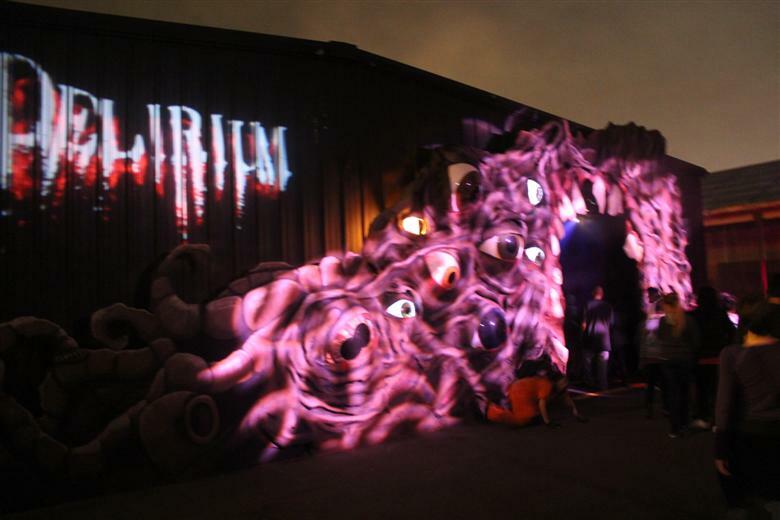 There aren’t any new scare zones this year but they still have a great line up! The backstreets of Ghost Town are shrouded in moonlight darkness and fearsome howls pierce the silence. In a blur of crimson teeth, werewolves stalk the “Gypsy Camp” seeking revenge for an ancient gypsy curse. Will you be the canine’s next meal? “Necropolis,” a vampire world of flesh and machine, of gears and steam offers a journey through the streets of a steam punk influenced city of the dead where blood is power. There is no place quite like “Ghost Town,” home to a whole cast of night stalkers including the notorious Sliders who lurk in every fog-filled corner. 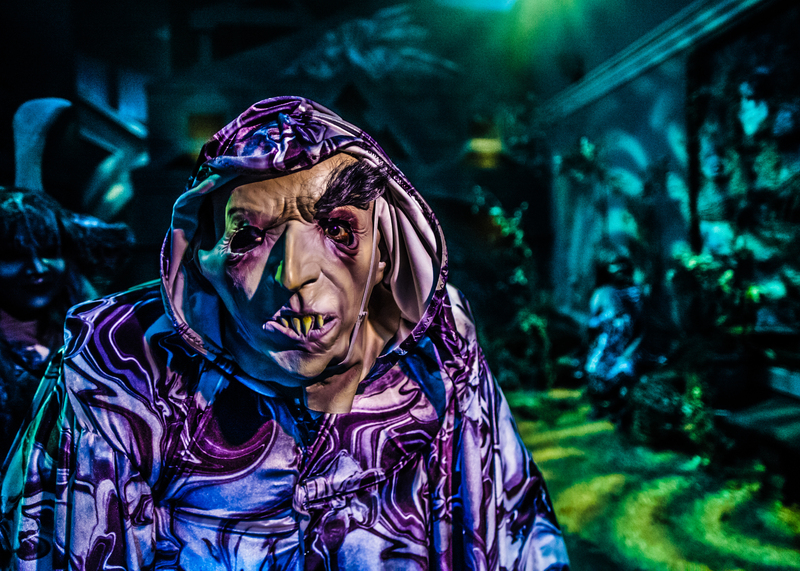 Guests attempt to navigate the winding streets that may just lead to the graveyard! Knott’s Boardwalk is taken over by “CarnEVIL,” where the freak show is the main event and clowns crave your undying attention. Do any of you plan on attending?